Here is a toy where your child can learn and play! 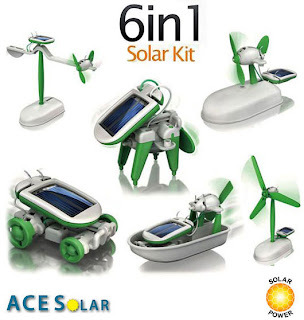 Get the 6-in-1 Solar-Powered Educational Robotic Kit With 6 Models on 1SaleADay for only $4.99. This toy was priced at $59.99, a 92% discount! Click on the link below to get in on this deal! Sale ends 8/11/11 12 am EST. 6-in-1 Solar-Powered Educational Robotic Kit With 6 Models!